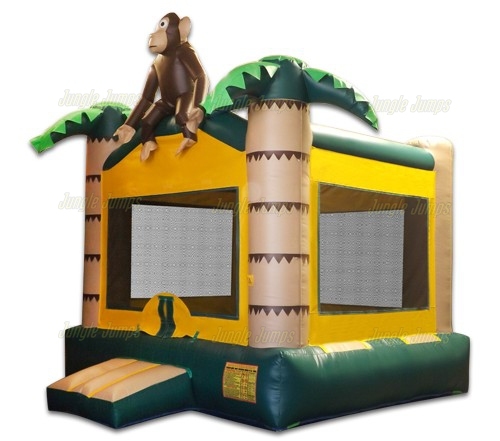 If you want your bounce house business to be profitable, one of the things you need to do is to make sure that you are offering something that people in your area have not seen yet, as well as making sure that you are offering something for reasonable price. If you begin a bounce house business without doing a bit of research first, you will likely find that your business does not have any chance of becoming as successful or as profitable as you want it to be. But many people do not know how to conduct market research before they begin their bounce house business – here are a few tips that can help you. One of the first things you’ll need to do is to check out the competition. This means doing a search online, and asking locals in your area, to find any local bounce house businesses that may already be around. Once you discover the local businesses that rent bounce houses, you should then do a bit more research to find out exactly how much they charge for each of their houses, and what their policies are. You are doing this not just so that you can offer a fair price for your customers, but because knowledge in the business world is definitely power. You should also make sure that the bounce house business is warranted in your area. If, for instance, there are already a number of bounce house businesses located within 50 miles of your house, chances are that you may have a difficult time starting your business and making a profitable. If this is the case you may instead want to look to starting some sort of party rental business instead. Always ask local people, not only friends and family but also acquaintances, if they would be interested in having a bounce house business local to them. Feel free to ask them what they would feel is an adequate amount to pay for a bounce house rental, as well as if they have any questions. This way if they do have questions, you can answer them all on your website before they are even asked of you. Beginning a bounce house rental business can be a great move, but you need to make sure that you have done your homework before you begin. 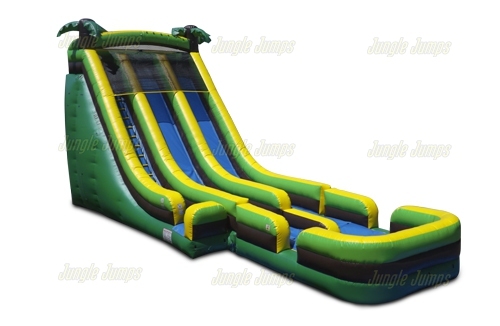 Moonbounces are created so that they can be inflated for a very long amount of time, and because of this many customers believe that they should leave their moonbounce inflated the entire time that they are renting it. While it is absolutely fine for your customers to leave their moonbounce inflated during their entire rental period, you may want to explain to them that there may be times when they want to deflate the moonbounce. Deflating a moonbounce is very easy, as all you have to do is turn off the power to the blower in order for it to deflate. When you are ready to inflate again, simply plug the blower back in and within a few minutes the bounce house will be back to being fully inflated. There are a number of times, however, when it may be a good idea for your customers to pull the plug on their inflatable house starting with keeping the party flowing. Children absolutely love moonbounces, and many times children will stay on the moonbounces the entire time that they are there instead of focusing on other games that you may have set up or celebrating with the birthday child. Customers who want to keep the party flowing will want to deflate their moonbounces when something else is going on during the party, such as having food or when it’s time to open presents. 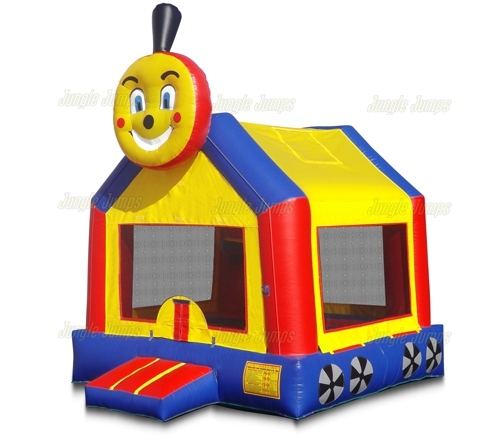 The blower’s that come with bounce houses are fairly efficient, but if customers have it running for a long amount of time they may definitely noticed an increase in their electric bill. Explain to customers that while they can absolutely leave their moonbounces inflated for the entire time that they have rented it for, if they are looking to save a bit of money they may want to turn off of the blower when no one will be using the moonbounces. And of course you should always tell your customers that the easiest way to make sure that children know that it is time to go home from the party is to deflate the moonbounces. Once the moonbounces is deflated they will get the signal that the party is about to be over which will help parents to be able to get their children home that much more easily, and which they will definitely think the customers for. There are number of things that you can do and order to make sure that your moonwalks business is successful and profitable, but one of the best things that you can do is to get your customers to like you. You can, in fact, get your customers to like you even before they have met you. How is this possible? Through your website. In today’s world most people look at a companies website before they do any business with them. Your website is literally your calling card, and one of the best ways to make sure that you intrigue your customers and that you make them feel that you are sincere in wanting to help them throw the best bash ever is to not only rent them great moonwalks at an affordable price, but you can also give them some wonderful tips about how to throw an affordable birthday party on your website. If you’ve never thrown an affordable party before you may not know what type of advice you should give them. There are a number of great ways to throw an affordable birthday party starting with creating a budget. Explain to your customers on your website that they should first figure out exactly what they want to have at the party and how much they can afford to pay before they make any other plans. They can find the price of renting moonwalks on your website which should give them some idea as to what budget amount to start at. Another great tip that you can give your customers is to limit themed items. Having a themed birthday party is all the rage right now, but it can also be extremely expensive. Instead, advise them to pick out of fuel themed items, such as plates or a birthday cake, and then to have everything else be generic but matching. For instance if they are having a Mario-themed birthday party, they can purchase Mario plates and the cake and can have a red tablecloth and red utensils to match. You can also point out to them that another great way to save money is to rent machines to do the food for them, such as a hotdog machine or cotton candy machine. This is often much less expensive than ordering out for pizza or take out and is a great way to give any birthday party that personal touch. There are always fads that come and go, and while sometimes these fads are absolutely silly, there are times when they can be extremely beneficial to your business. One of the current fads that is all over the Internet is called social couponing. Social couponing works like this: a person goes onto a social couponing website and finds a deal something like pay $15 and get $30 worth of products. So how can you use social couponing to help your business to expand and to earn an even greater profit? If you do it correctly, social couponing can help you to expand your business in a huge way, but you need to make sure you know exactly what you’re doing before you sign up for it. There are numerous stories you can find online about companies who have signed up for social couponing but who were unable to follow through with the deals that they offered their customers due to overwhelming demand. This can be the death of a company as it shows that you do not follow through on your promises or your deals. There are a number of deals that you can offer through social couponing website, but you need to make sure that any deal that you offer you’re going to be able to follow through on. When it comes to renting inflatable jumpers, things can get tricky as you only have so many jumpers to rent out and so much time to be able to do it in. If you have other sorts of party rental items, however, you may be able to offer some sort of a social couponing deal with the other rental items that you own. For instance you may be able to offer a deal like rent to inflatable jumpers and receive rentals for a popcorn, hot dog, and cotton candy machine for free. You can offer great deals on renting your inflatable jumpers out, you just need to make sure that it is explained thoroughly that you will only be able to follow through on the deal if they book on a date that is available, you can even give a list of available dates if you would like. Make sure you select a social couponing website that that is reputable and that you know exactly what you jumping into before you sign up for it. It is virtually inevitable that some day your inflatable business will receive a donation request from a local non-profit organization holding a fundraiser or special event that will be looking to use your inflatable equipment free of charge. Donating your equipment to a worthy charity is a great way to create goodwill for your company. Because your services are free of charge most charities will not have an issue with you actively promoting your company and your services during the event. While you will not want to be too aggressive marketing your company you should have your name out there so that attendees know exactly who you are. Bring any extra signage with your company name that you have. If your vehicle has your company information, park this near the inflatable prominently displaying your company info. Consider this a great opportunity to win potential business down the road by also having fliers and business cards on hand for attendees to take. To further maximize this marketing potential you should develop a press release and distribute it to your local newspapers. Many times the hosting organization will already by promoting the event in a local newspaper. Consider asking them to include the information about which inflatable products will be there, along with your company name. This type of positive press can do wonders for your company. As your business becomes more and more well-known in the party and entertainment industry you will likely begin to see more of these donation requests. At some point you will have to begin using your own discretion as to how much is too much, and which organizations to participate with. After all, you are in the business of making money with your equipment. During a slow time, or if no other events are booked for a particular day, there really isn’t much to lose other than your time and transportation costs in volunteering your equipment and services. However, when other events are booked and you are stretched particularly thin it is certainly fine to decline an organization’s request. Over the course of time you will probably establish yourself and your organization with a few select charities that hold regular events annually. This type of affiliation continues to establish goodwill, while promoting your company year after year. There may come a point when your business is booming and you are only able to provide donated services to these select charities of your choosing. If your business is just starting out you may want to consider seeking out some local charitable events and contacting them directly to offer your services. For the new business this is a great way to get your name out there to the local market in a very positive light, while exhibiting your equipment at the same time. Consider this a free marketing tool for your business, with the cost incurred only being that of your equipment services for the duration of the event. Remember, a healthy balance of paid and donated services is the key to your inflatable business’ success.